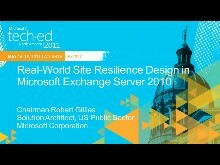 Designing and implementing Microsoft Exchange Server on premises can be a complex and challenging task. That's why Microsoft offers the preferred architecture for simpler, easier, and less expensive implementations. Why follow Microsoft's design guidance? Exchange architects, consultants, and support engineers who attend this session learn about Exchange architecture concepts and design principles, and how to apply them to design and deployment decisions; analyze design challenges; understand "supported" vs. "recommended"; and uncover typical misconceptions and errors. 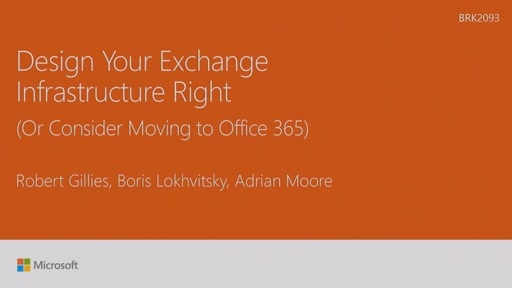 You'll leave the session either ready to whiteboard your Exchange infrastructure, or ready to migrate your on-premises Exchange to Office 365.